If you visit Denver Colorado, you will be very tempted to drive everywhere particularly if you are near the outskirts where several of the craft breweries call home. It’s wide open, with plenty of industrial warehouses, body shops, and shipping businesses. However, resist the temptation. You will stumble upon many absolutely hidden gems. 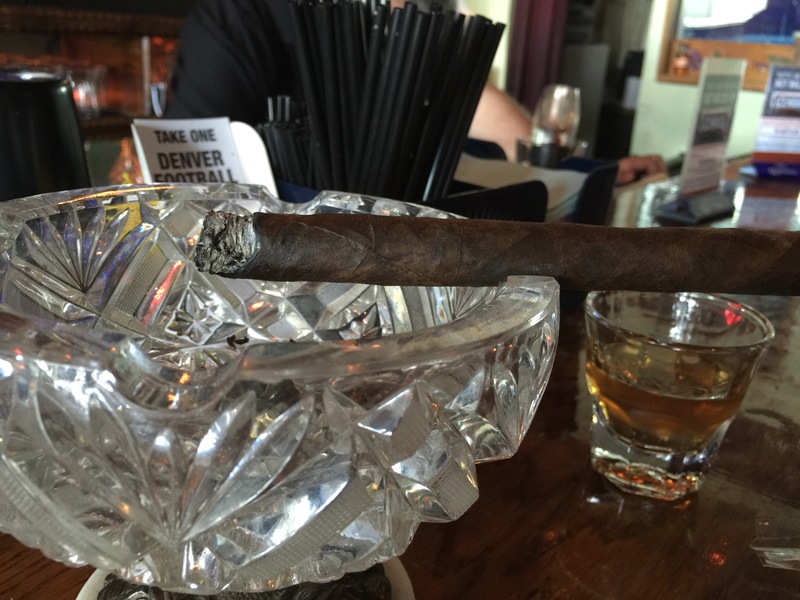 Although they are not located in an obviously close area, in about half an hour I ran across an urban winery, chocolate tasting room, several breweries I’d never heard of, and finally a tucked away cigar lounge with a serious focus on rum. That’s where this current tale was written. Being out of town, I’m usually interested in the novelty of a new store. I try to see the new blends that may have come out that are yet unavailable in my area or simply difficult to find. In this case I asked the proprietor for a recommendation for “something new and/or particularly interesting” in his humidor. He mentioned some Tatuajes and Illusiones (excellent choices to be sure), but then said “I actually have my own blend that I sell here”. Bingo. Now, if you’ve been to some smaller cigar shops, you’ll know that many times this is an iffy proposition. To be honest, they are usually fairly amateur. However, I am one to judge a book by its cover for better or worse, and these were clearly thoughtfully packaged. I probed a bit further, and realized after some minor discussion that this was no throw-away blend. This was an enthusiast who put together something interesting that he personally wanted to smoke. When he mentioned his specific pairing preference (Cuban-style rums) that these were particularly blended for, I knew I had a winner in hand. So, I cheerfully purchased a corona (his preferred Vitolo, and usually mine) and bellied up to the bar with a nice glass of Viscaya 21 rum (another personal recommendation – normally I’m fairly confident in my drink selections, but I’ll never pass up a personally curated experience from the blender himself). The cigar opens up with several big flavors, all vying for dominance in the first third of the stick. I got black pepper, cedar and cinnamon in equal measure, though the cedar began to soften into something more syrupy as the the third progressed, and the cinnamon melded beautifully as the black pepper gave way slowly until it added just a touch of heat on the retrohale. The flavors linger for a long time on the tongue, and here’s where the dedication shines through. This particular blend accentuates and mitigates the somewhat cloying sweetness of the rum, forming an elegant marriage that, though perhaps overwhelming on an invidual basis, morphs into a whole substantially more elegant than the sum of its parts. The second third really accentuates the smoothness while adding just a touch of caramel and sugar cane without losing that toasted cedar flavor in the first. Again, these tastes are powerful, yet they don’t overwhelm the rum and vice versa. 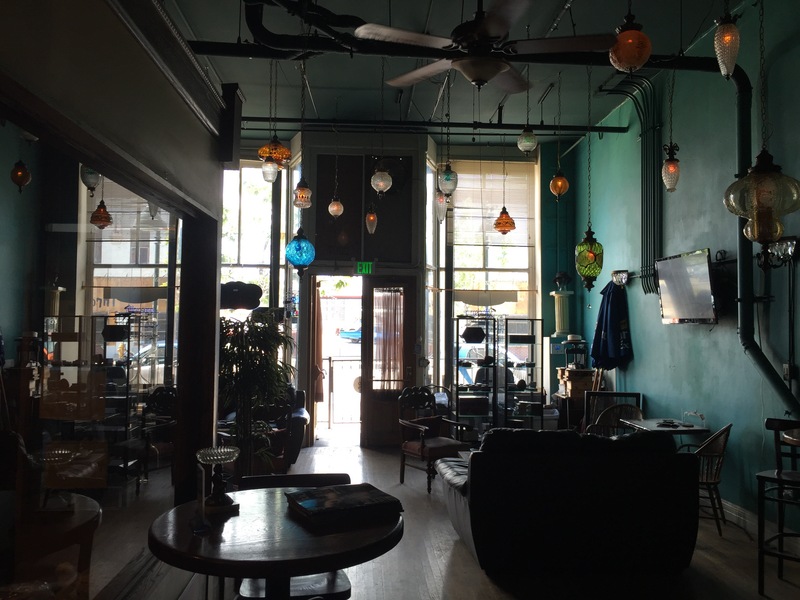 I’ll also add that the venue is the perfect place to enjoy such an experience, plush with leather couches, a well-placed ventilation system, and electing hanging lamps. It is down to earth but luxurious. The conversation with Clay doesn’t hurt either, he’s a great conversationalist and worth the seat at the bar alone. The final third of the cigar is an extension of the second, the flavors continuing to meld with the occasional pop of pepper as if to remind you that you’re smoking something interesting and you oughtn’t to drift off in the clouds of perfumed smoke too much. No doubt that you need to pay attention to the rum as well, though they meld so beautifully that is honestly hard not to just sit back and drift off into introspection. I’ll say a word on the construction of the cigar as well. There are two kinds of excellent construction: those that perform well consistently, and those that recover without any real babying. This cigar falls into the second category. Several times I was sure it had gone out and would require a relight, but a few puffs brought it easily back to light. It kept a sharp burn throughout and never had any major issues. 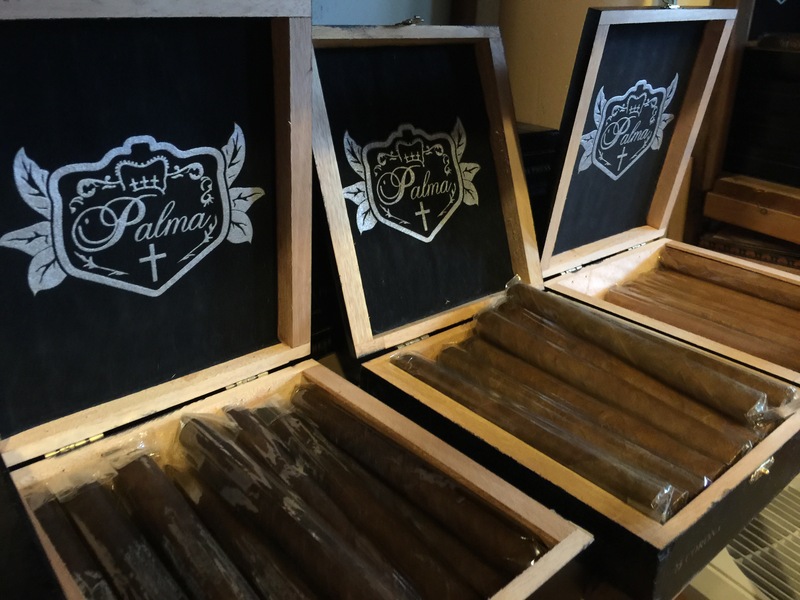 If you ever find yourself in Denver and want a very chill cigar smoking experience, look up Palma Cigars and settle yourself in. 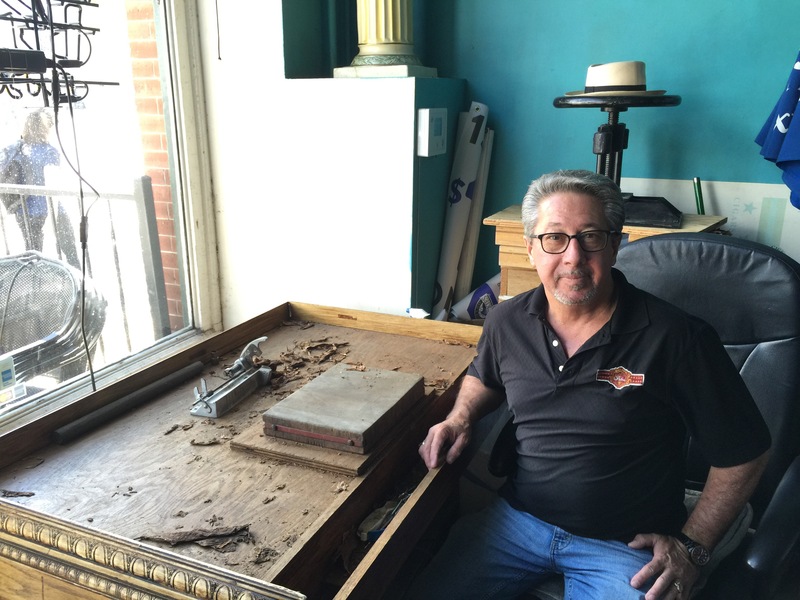 The blender/proprietor, Clay Carlton, will treat you right. He’s also a fervent support of our troops and has sent cigars overseas for years. It’s a great place, a great cigar, and well worth your money and your visit.